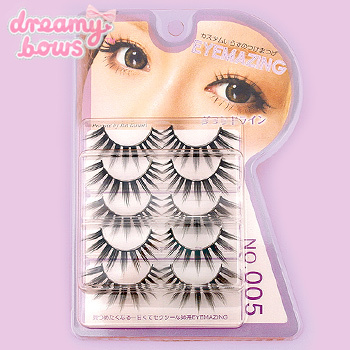 These dramatic spikey upper false lashes can be fixed with lash glue (sold separately) along your natural upper lash line to create a high-impact gyaru style big eye effect. Lash band approximately 35mm wide. Can be trimmed to fit.